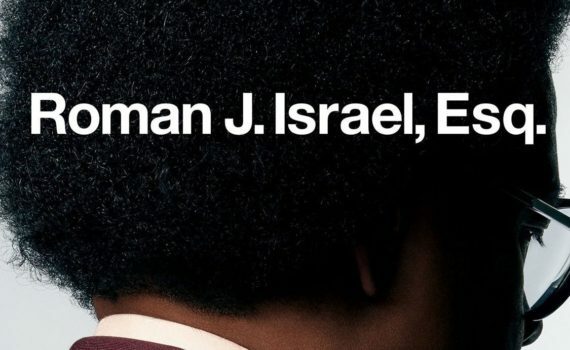 Roman J. Israel, Esq., like Dan Gilroy’s only other film, Nightcrawler, is only worth mentioning because of its stellar lead male performance, not for almost anything else. Jake Gyllenhaal transformed for his role, he went all in, he was captivating and a little manic, and he deserves all the attention he received for filling that part to perfection. Denzel Washington does the same here with the exact same result, a performance that will blow you away, but in a movie that does nothing on its own. Gilroy is a writer as well, and other than The Fall, which is tremendous, his projects tell you all you need to know about his lack of imagination: Reel Steel, The Bourne Legacy, Kong: Skull Island. We shouldn’t expect much else from this mediocre filmmaker going forward, but we can still appreciate the actors who trudge along and sometimes make magic anyway. Roman is a lawyer in L.A., a veteran civil rights activist and defense attorney who has made it his life to defeat injustice wherever it rears its ugly head. For years he’s been the brains behind a bulldog of a lawyer, a man who was famous for his power in the courtroom, while Roman studied and planned and categorized and researched behind the scenes. Now his partner is critically ill, so Roman is out of a job, and his skills might go to waste in a world that desperately needs them. He reluctantly joins a high-class firm where at first he believes that the partners will simply use him and not let his true potential shine. But as he settles in, he comes to realize that he is his own worst enemy, that greed and despair can reach into the heart of any man. What a great two hours of pure Denzel, his precise prowess on display in a way that isn’t shocking at all, but is always refreshing. He deserves his Oscar nomination for this role, as he brings layer upon layer of depth to the character, which isn’t apparent in the trailers at all, so be ready to be surprised by where he takes the role. It’s nuanced and intricate, powerful and meaningful, laden with flaws that make it all the more real. But, unfortunately, that’s all this movie has to offer. The other characters are stupid, I’m sad to say, even Farrell not being able to rise above his poorly-written role. The story is confusing as well, at least in why it makes any of the decisions it does, why it goes the way it does, why it was written and left to droop. Gilroy isn’t good, that’s as plain as I can say it, and his movies suffer from his lack of honed aim and unique skill set. You can watch for Washington, you won’t be disappointed there, but don’t expect anything else.